A senior U.S. border patrol official is warning travellers that cannabis remains an illegal narcotic in the U.S. — and even if you've been granted amnesty for a previous pot-related criminal conviction, you could still be denied entry to the United States. Americans stress it's still illegal under federal law — and those who've smoked it could be barred from U.S.
A senior U.S. border patrol official is warning travellers that cannabis remains an illegal narcotic in the U.S. despite Canada's legalization — and even if you've been granted amnesty for a previous pot-related criminal conviction, you could still be denied entry to the United States. The statement comes as Ottawa announced a plan to allow people to apply for a pardon for minor pot-related convictions. A person with a criminal history typically seeks a pardon to make it easier to rent an apartment, apply for a mortgage, get a job or volunteer, or cross the Canada-U.S. border. Federal Liberal cabinet unveiled details of the pardon plan on Wednesday after cannabis for recreational purposes became officially legal in Canada. "Really, we don't recognize the Canadian amnesty. If you've been the subject of a violation of U.S. laws, that will still make you inadmissible to our country," Todd Owen, the assistant commissioner of field operations at U.S. Customs and Border Protection (CBP), said in a teleconference with reporters. 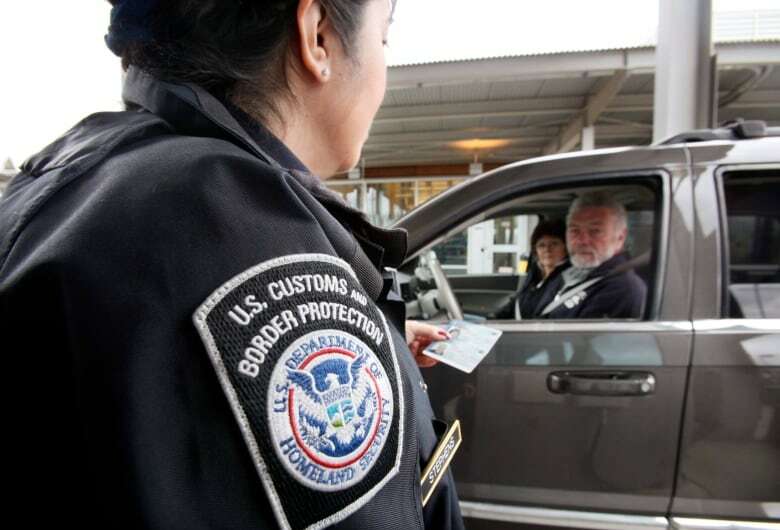 Speaking in Buffalo Wednesday, Richard Roberts, the CBP assistant director of border security, said foreign pardons are simply not recognized under U.S. border admissibility law. "They could still be found inadmissible," he said. "Yes the law has changed [in Canada] but really, at the border, this is business as usual for us." Owen noted it doesn't matter whether someone has received a Canadian pardon — just admitting to having illegally consumed the drug in the past is grounds to be barred from the U.S.
"We hope the word is out, the education, [we're] making sure the travelling public knows that U.S. federal law has not changed in terms of marijuana. It's still a controlled substance. You may be inadmissible if you have ties to that," Owen said. While some U.S. states have dismantled prohibition — including Washington, a border state — cannabis possession remains a criminal offence federally. And the U.S. border is governed by federal law. The U.S. CBP is privy to a traveller's criminal past in Canada — this information is recorded in the Canadian Police Information Centre (CPIC) database — and the agency is warning all foreigners that a drug-related criminal history is grounds for denial of entry to the U.S.
A person could apply for a waiver — a potentially lengthy and costly process that, even if successful, makes cross-border travel much more difficult. Owen said anyone who has ever consumed the drug in the past, is an "addict" and/or a drug abuser, could be deemed inadmissible. Border guards, Owen said, are generally trying to prevent someone who has a proclivity for consuming cannabis from doing so on American soil. Under U.S. law, even a traveller who admits to having smoked cannabis casually in the past could be denied entry. For American border guards, a confession is just as good as a conviction. The CBP did not specify how it would deal with someone who has sought, and received, a record suspension — a pardon — from the Canadian federal government, as a pardon usually ensures an individual's criminal past is removed from the CPIC database. ​CBC News has asked for clarity and will update this story accordingly. Regardless, Owen stressed that all Canadians should be completely truthful with border guards when crossing south — especially about their criminal history — or risk being banned from the U.S. for life. "You definitely don't want to be less than truthful when you're being interviewed by a CBP officer," Owen said. Moreover, Owen said those found at the border with cannabis on their person, or in their car, could face arrest and prosecution by U.S. officials. 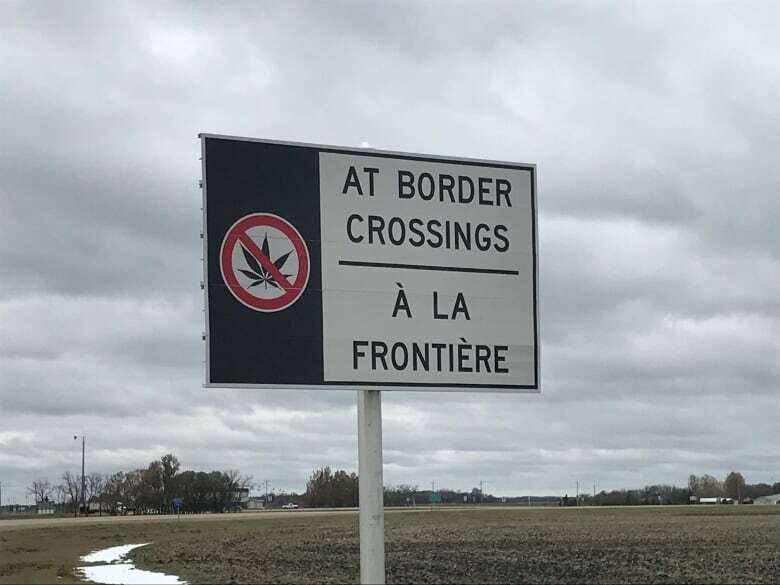 Conversely, it is illegal for a person travelling to Canada to bring cannabis with them across the border, the Canadian Border Services Agency (CBSA) has said. A government official, speaking on background to CBC News Tuesday, said all CBSA guards will now be required to ask each and every traveller about cannabis possession at the border, and a question about cannabis use will be added to the declaration forms travellers fill out when entering Canada by air. Owen also sought to clarify the U.S. agency's position on a Canadian who is an owner of, or an investor in, a cannabis-related business. He said, for example, that someone who holds an interest in a cannabis company through a mutual fund or a pension plan fund, or through some other indirect means, likely will not face greater scrutiny at the border. But he said an owner or major investor linked to a cannabis company, travelling to the U.S. on cannabis-related business, likely would be denied entry. "If a Canadian is knowingly engaged, and invested, in the marijuana industry and is going to the U.S. for that specific purpose — to facilitate the industry — they would be found inadmissible. "If a Canadian is working in the legalized business and coming to the U.S. for a different intent — they're coming to go shopping or do some other recreational activity — they could be found admissible."